How Are You Protecting Your Business Investments? As small business owners in Myrtle Beach, we know first-hand that start up costs for a business are nothing to laugh about! You will spend money on all sorts of things you couldn’t have imagined, unless you’d owned a business before, and many first-timers are surprised by bills they just didn’t expect. However, now that you are a small business owner and you’ve invested money, time and effort into getting a business off the ground, how are you protecting that investment? Really… how are you doing it? Do you have good locks? If you do not have any of these safety features to safeguard your investment, you run the risk of losing it all! Now that’s something none of us want, right? 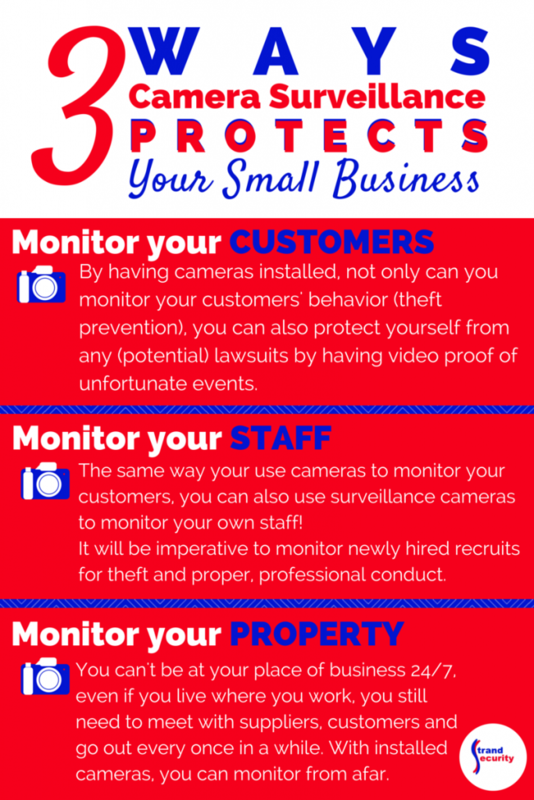 How Can Cameras Help Protect Your Small Business? “Cameras are your extra set of eyes when you aren’t able to be in 2, 3, 4, 5 or 6 places all at once!” Even if you are a very hands-on business owner who works hard and is involved in the daily workings of your business, there are times you need to step away from the showroom, the store or the office. You also need to sleep, we assume. Having surveillance cameras set up to monitor your business makes great ‘cents’. 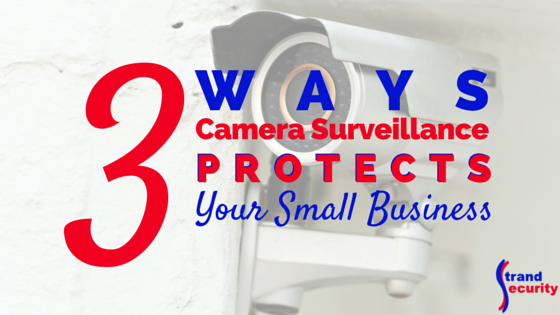 How does having a camera surveillance system protect your business investment? Monitor customers – This is especially true if you own a store, showroom or restaurant. By having cameras installed, not only can you monitor your customers’ behavior (theft prevention), you can also protect yourself from any (potential) lawsuits by having video proof of unfortunate events, if that ever were to happen. Monitor staff – The same way your use cameras to monitor your customers, you can also use surveillance cameras to monitor your own staff! In a town like Myrtle Beach, there are a lot of seasonal jobs available. Many small business owners rely on seasonal staff who might just be looking for short-term employment. It will be imperative to monitor newly hired recruits for theft and proper, professional conduct. If you suspect an employee of theft, surveillance tapes can offer the proof to help prosecute and convict them. Monitor your property – We know business owners need sleep. You can’t be at your place of business 24/7, even if you live where you work, you still need to meet with suppliers, customers and go out every once in a while. 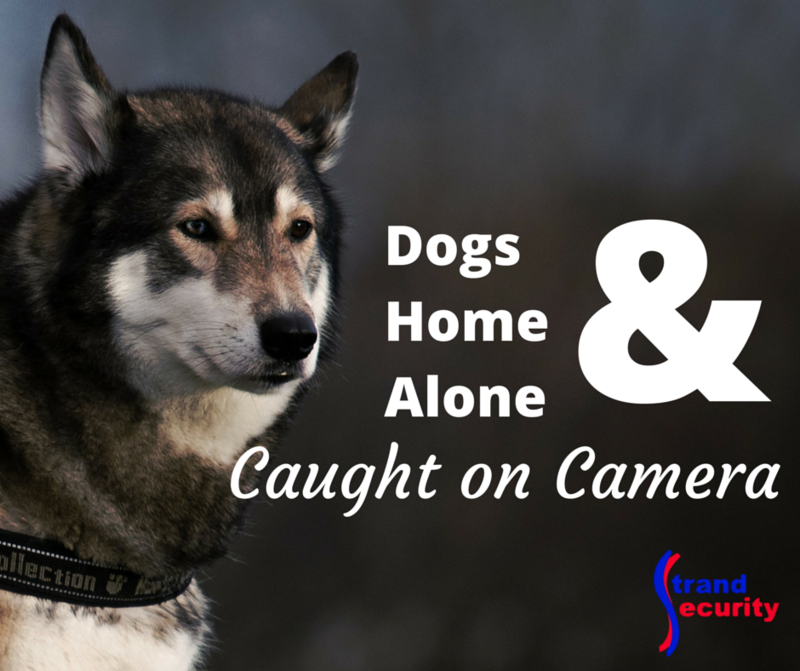 With installed cameras, you can monitor from afar and see happens when you aren’t there. Lots of things can happen and do. Break-ins, fires, vandalism, and more. Don’t delay in installing a security system, if you do not currently have one. If you do have a system, but without cameras, consider upgrading ASAP. We talk to our customers often, and we KNOW having cameras installed, and security signs displayed, can actually prevent unpleasant events! 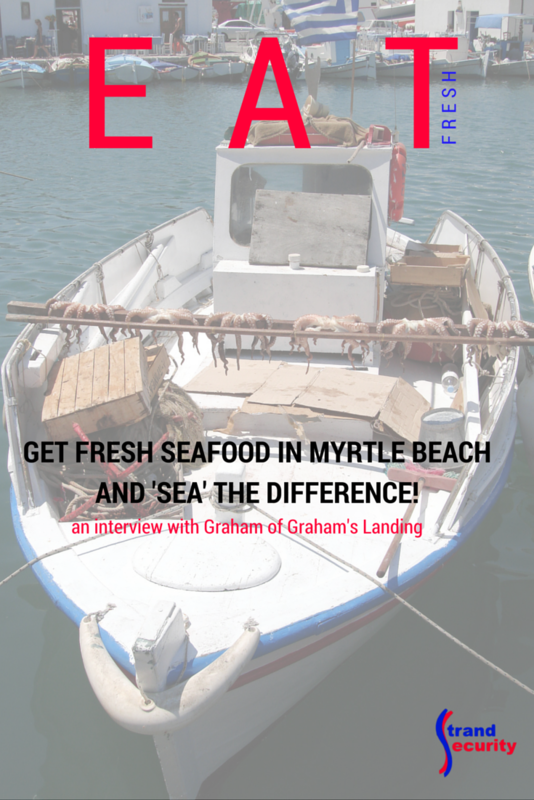 Get Fresh Seafood in Myrtle Beach and ‘Sea’ the Difference! If you are like most people, you love seafood and if you love seafood, you especially love and appreciate the taste of fresh caught seafood. Did you know that Murrells Inlet (just south of Myrtle Beach) is the ‘seafood capital of South Carolina’? One of Strand Security’s customers is Graham’s Landing. If you’re familiar with our blog, you know that we just love to visit our customers and that we eat at, and support, all of our customers’ restaurants. This week, Heather of Strand Security Systems went to eat lunch at Graham’s landing. She was lucky enough to sit on the deck overlooking the marsh and inlet and scored an interview with Graham of Graham’s Landing. Watch Heather’s interview with Graham’s Landing owner, Graham. Bring Your Family and Visitors to Graham’s Landing for Fresh Seafood and Beautiful Views! Does you business need security? 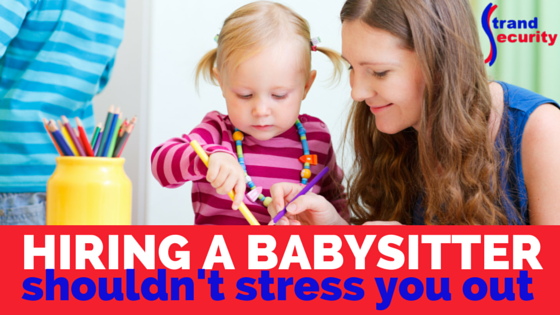 Hiring a Babysitter Shouldn’t Stress You Out! 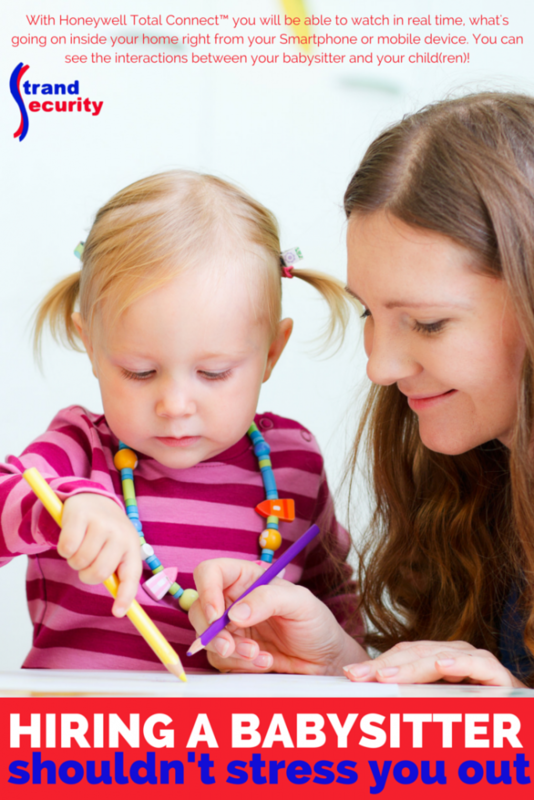 Hiring a babysitter should relief some of your parenting stress! There comes a time for every new parent to hire a babysitter and leave their first-born child for the very first time! Just writing this sentence bring back memories…and anxiety! I remember that day way-back-when so well. Just thinking about that first time of leaving my child and going on a date to Broadway at the Beach in Myrtle Beach gives me anxiety. It’s a super fun place to hang out – really, there not a single place in Myrtle Beach that’s NOT fun, yet I couldn’t have any fun…I was stressed out and felt guilty about leaving our son and I kept calling home for updates on the baby. Often, a first babysitter is a family member; maybe a grandparent or aunt or uncle. Even though this first-time event should be exciting, it also could be stressful. If you are lucky enough to be able to leave your child with a trusted family member it might make things much easier to handle. However, not everyone is lucky enough to have family nearby! If you are lucky enough to have a found ‘the perfect sitter’ the first time around, you are definitely in the minority! Many people struggle to find good babysitters and when they do, they hold on to them – this mom speaks from experience! It might take many tries to find the perfect fit and while you ‘try out a new sitter’, stress can get the best of you! Therefore, hiring a new babysitter to relief parenting stress can in itself bring on …more stress! How can we help you solve this problem? We offer Honeywell Total Connect™ services for your home! In an earlier article, we joked around a bit with this concept, explaining how fun it can be to check on your dog while you aren’t home as Honeywell Total Connect™ lets you look inside your home with up to six cameras, real-time. We showed several videos of ‘dogs gone wild’. All joking put aside, Honeywell Total Connect™ can be the peace of mind you need when hiring a babysitter – or nanny or housekeeper. You will be able to watch in real time, what’s going on inside your home right from your Smartphone or mobile device. You can see the interactions between your babysitter and your child(ren)! At the same time, we offer another service that you might find useful when employing help in your home. We offer C.O.P.S monitoring service to our clients; this is a 24 hour service designed to help you, or your babysitter, in time of need! This would include a fire, burglary or medical emergency. Knowing that the necessary help is available with the press of one button, should give you additional peace of mind. COPS Monitoring specializes in many types of alarm monitoring and delivers professional service with industry-leading response times. NOTE: The ‘industry-leading response time’ bit is very important, as this will allow you, or your babysitter not only to talk to someone in time of crisis, but also get the help you need in the shortest amount of time possible! We are very proud to partner with C.O.P.S. and to offer this service to our customers. Choose the right system, choose the right company! We know there are many security companies out there. In Myrtle Beach alone there are several companies to choose from. Make sure to do your research before hiring someone. Installing a security system in your home (or business) is an important decision to make; be well informed and well prepared to hire the best! Come talk to us to find out if we might be a good fit for your needs! Watching movies on a big screen in your own home! 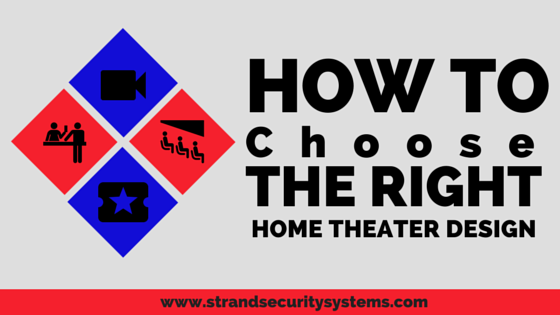 If you read this, you are most probably curious about home theaters. Maybe it’s a dream, maybe it’s a possibility in your near future, maybe you have the money for this project set aside and you are ready to get started. That fact that you found this article and you are now reading it indicates that you are interested. 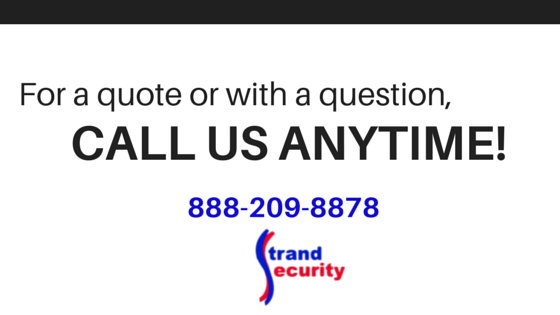 We are a security company based in Myrtle Beach, South Carolina with a division in Maryland. We do many things for home owners and business owners to keep their home and business assets protected. Beside offering the best customer service, the most competitive rates and the best companies to work with (Honeywell, Bosch, C.O.P.S, Klipsch, GeoVision, Pelco, Nuvico) we also offer services that improve your lifestyle. Those include central vacuums and yes, home theater design and installation! How do you get started if you are interested in a home theater for your home? 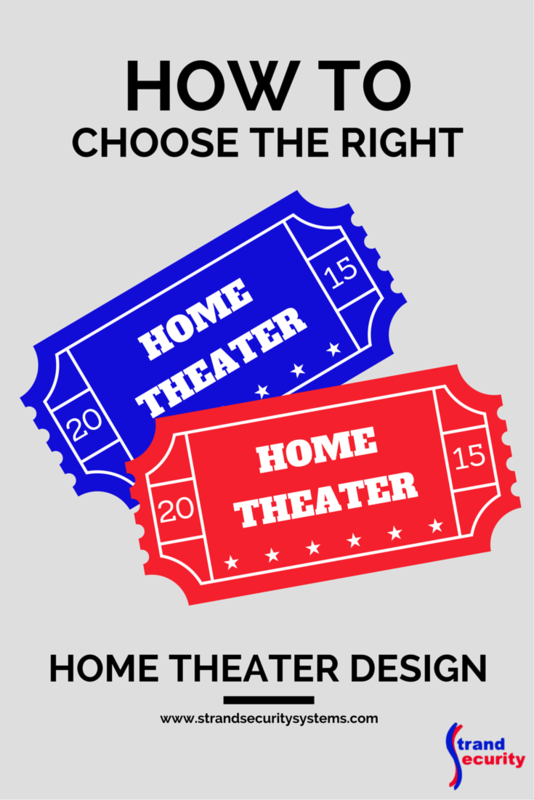 Check on Pinterest – search ‘home theater’, ‘home improvement’, ‘home theater ideas’ and more. Go to Houzz.com and search for home theater – 46,644 ideas popped out at us when we checked! Ask your real estate agent. They have seen many home theater and might know some do’s and don’ts. Ask a friend who owns a home theater to see theirs and ask about how they got started. Come check out options with us; select your audio, video, and projection equipment from our product catalog. Above all, knowing what you like and don’t like in home theater design, what you need and what you think you can live without before contacting a professional will speed up the process! Next, you’ll need someone local to build your home theater! Are you ready to hire an experienced professional for your home theater? This is where Strand Security comes in! 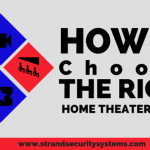 Strand Security in Myrtle Beach & Southern Maryland will professionally customizes a home theater solution that fits your Myrtle Beach area home, room and desires. We offer our 25 years of experience for you to bring your favorite movies and films to life in the comfort of your own home. We provide complete pre-wiring for new homes or a blueprint plan and wiring for your existing room. Then we custom install your sound and viewing equipment putting you in control of your state of the art home theater. We will customize a plan to meet your needs. Let us guide you in this process! Call Chuck today to set an appointment; he’d love to hear from you.